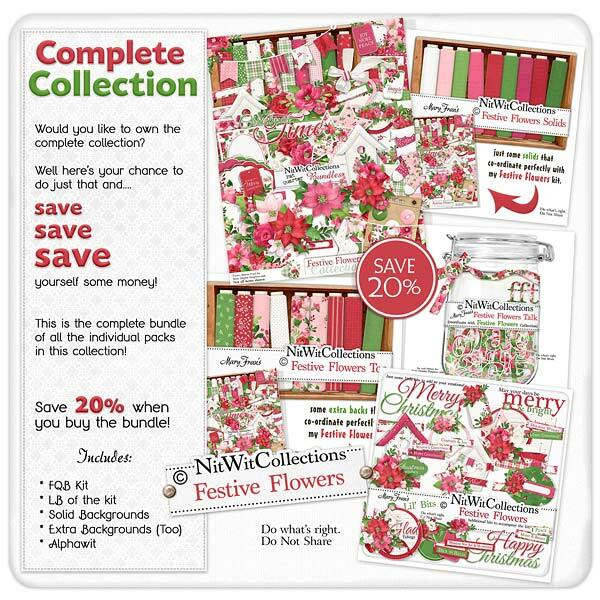 Bundled "Festive Flowers" Collection celebrates the beauty of the floral side of Christmas decorating! What is more quintessential than poinsettias, holly, berries, and of course a gorgeous wreath for your hearth or front door. The sights, smells and feelings of Christmas can easily be conjured up in your mind with this digital kit. Let your creative spirit bring Christmas to your digital scrapbooking layouts, cards, and possibly even Christmas decor ideas for this year!